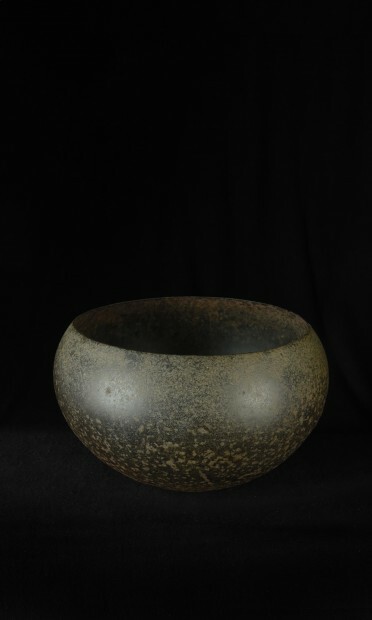 A Japanese iron beggar’s bowl. 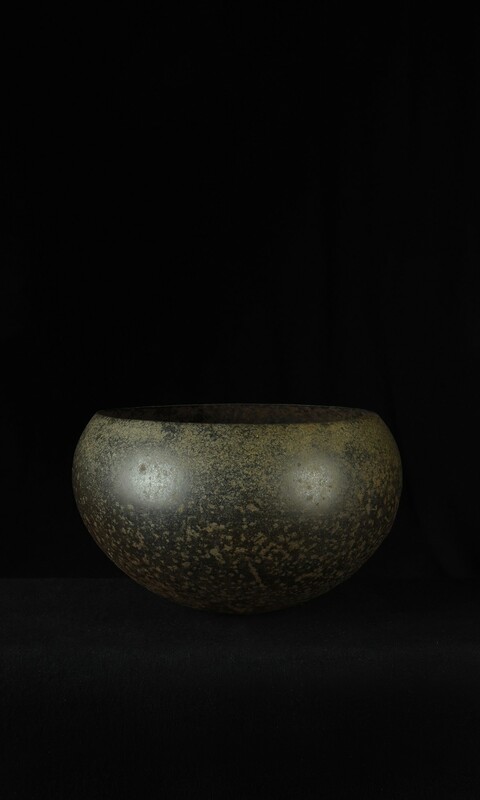 Traditionally Japanese Buddhist monks spend time begging and would use a bowl like this example to receive alms. 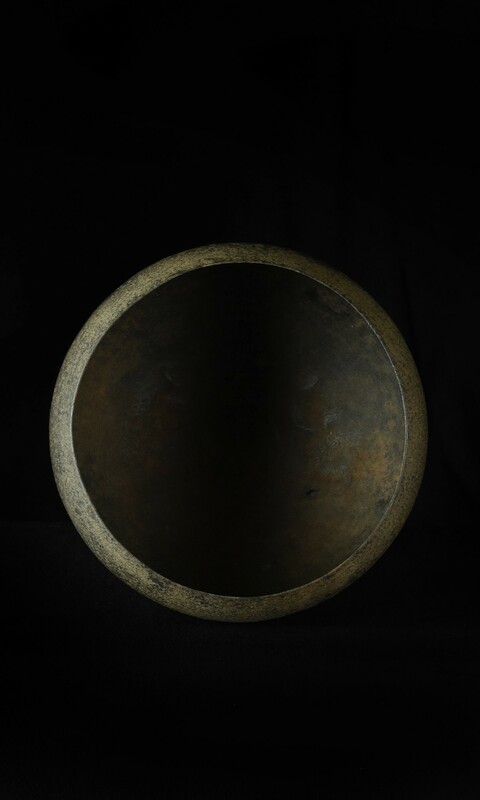 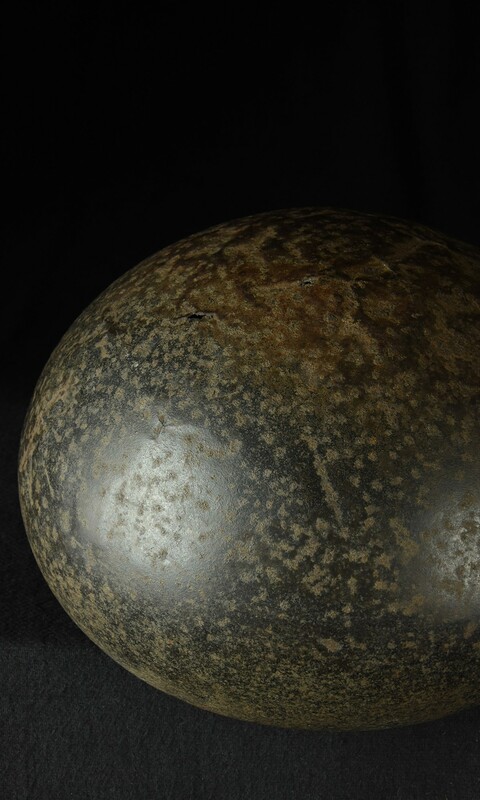 The bowl heavily corroded and with small holes from use.